The title doesn’t lie. 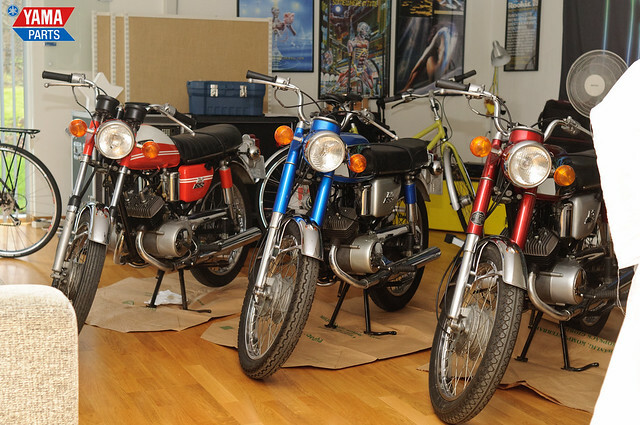 We’ve just received three new bikes: an AS2J and two AS1 from France. They are in surprisingly good condition! You can see a picture of them below, more to come! As a christmas present: we got a new workbench for our parts storage so we’ll be able to disassemble bikes on location instead of driving the used parts all over. We inaugurated it with disassembling an AS2J and an AS3. You can see pictures in the “Restorations” section or click here to go directly to the pictures! ← AS2J and AS3 disassembly + new workbench!